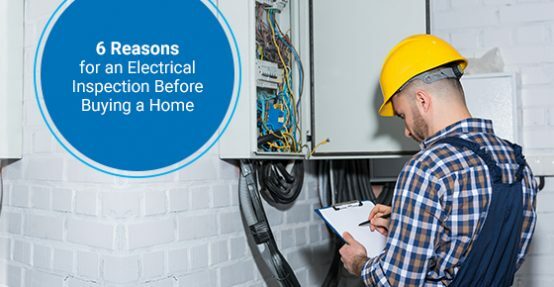 6 Reasons for an Electrical Inspection Before Buying a Home | Hi-Lite Electric Inc.
Home buying can be an exciting time in anyone’s life. It requires tedious, yet rewarding work and attention to detail to be sure that you are getting what you pay for. A premier rule of becoming a homeowner is to prepare yourself for the unexpected and to stay financially sound. There are a variety of safety issues and improper installations that can exist in all types of housing. Home inspections assist home buyers with making a decision, during the purchasing process. An inspection ensures that home systems are working accordingly and safely. Electrical Inspections are one of the types of home inspections that should be performed before the purchase occurs. The property should meet current electrical safety guidelines. An electrical inspection is an inspection, that ensures that electric systems meet national safety standards. During the process, a detailed check of electrical system connections are performed throughout your home. Home inspections can help to reveal hidden problems to the homeowner, that could otherwise become too pricey or costly to fix after making a major real estate purchase. The test the inspectors make are meant to be sure the property is worth purchasing. Inspectors provide objective findings to potential homeowners. Knowing the status of the home also provides the homebuyer with leverage, when it comes to the negotiation process. Without the inspection, you could end up overpaying for a house that is not worth the price if it is not up to code. When the inspector presents the findings, if issues are found, buyers can opt to renegotiate the total price of the home, ask the seller to pay for the costs to have the repairs completed and fix the electrical issues before closing, or choose not to purchase the home if there will be too much of a hassle. Electrical problems in homes can cause severe issues, including fires, loss or damage to property, or sometimes even death. Wires or cables that are not properly installed can become harmful. Prior occupants of the home may have tried to fix things themselves. You need to be aware of this before purchasing because do it yourself jobs are usually not up to the national coding standards. Hanging wires are obvious signs of issues but there may be hidden, more dangerous problems, in the electrical system, that needs to be checked by a licensed inspector. Home types such as century old homes and certain resale homes sometimes has the original wiring that is unable to handle the demands of modern electrical connections. Whole house inspections are required for these types of homes. An inspector can determine prior attempts at alterations to the original wiring. A resale home sometimes has prior work that completed to the home. There may be renovation work completed, home additions built or any other types of remodeling efforts. In these types of homes, an inspector can check to see if the wiring that was redone during the changes to the home, is up to standards. During and after the home buying process, your insurance provider may check to see if a home inspection has been completed. This covers the insurance company in the event of any issues that arise after purchase, usually in the event the homeowner needs to file a claim. An inspection from a licensed provider will need to be provided to the insurance company. This helps to see how much of a risk the insurance company will be undertaking by insuring your home. Assessing electrical switches, receptacles and outlets is a major job of an electrical inspector. The inspector will check to be sure electrical lines are grounded properly, and also inspect for any outdated or damaged or frayed wiring. Wiring should be working properly also. Wiring in bathrooms, bedrooms, basements and outdoor receptacles are checked as well. Proper circuits and breakers should be installed in homes also. Old wiring will need to be replaced as soon as possible due to wear and tear. The home should also have a strong enough electrical service for any possible future home expansion. Switches and outlets are also checked to be sure they are working and that they are the correct type for the intended use. Lighting is important also. Areas in the home should have adequate and sufficient lighting. By assuring your home is up to code, with an inspection, your home purchase will be sound investment for you and your family. After the electrical home inspection is complete, you will be provided with a checklist of potential areas. The checklist will show which areas could be improved in the future and which areas need to be attended to immediately. This can greatly assist with the purchasing decision. A home has a complex electrical system. An inspection of the system will help to give buyers a better sense of security. Buyers will be better equipped with the knowledge of the shape of your future home. When it comes to the closing process, use the findings as a negation tool. It will also help you to decide if you are willing to keep up with future maintenance costs associated with electrical issues. The value of an inspection of the electrical system is a major investment in your future home, and the safety of you and your family. It is vital to hire a good, qualified, licensed inspector who will work hard to find electrical issues in the home. If you’re in need of an electrical inspection for a property you are considering purchasing, call Hi-Lite Electric at 919-467-5554 or contact us here.